Have you got a leaky tap, broken toilet or another type of plumbing repair? As Damien McEvoy Plumbing is a local Sutherland Shire based company our staff are only minutes away, ready to serve the needs of Caringbah South home and business owners. For a free quote give our team a call to speak with the Shire’s best plumbing company. Leaving any of these issues to sort themselves out is simply asking for trouble, and will lead to a whole slew of problems further down the track, not to mention the additional costs for damages incurred due to flooding. Don’t leave these issues to chance, our local Caringbah South drain team are only minutes away, ready to clear the most stubborn blocked drains. Damien McEvoy Plumbing staff are all qualified hot water experts, trained to repair, supply and install a wide range of water heating systems from all the leading brands. Our Caringbah South service branch stocks a wide variety of water heating systems from Rinnai, Dux, Rheem, Bosch, Vulcan and many more. Damien McEvoy Plumbing staff have been trained as licensed Gasfitters and installers. Gas fitting is fast becoming one of our most sought after services as more and more homeowners in Caringbah South are switching to gas-powered appliances to save money on their energy bills. Our 24-hour emergency plumbers work around the clock to provide the quickest response after hours service in Caringbah South. If you’re experiencing any type of unexpected water or gas issues give our team at any time of the day (or night) on 02 8599 4593 and we’ll be with you in under an hour. There’s no burst pipe too small and no overflowing toilet too big for our team, you can put your mind at ease knowing that Damien McEvoy Plumbing is only minutes away from Caringbah South. Our drainage team are always striving to bring residents of Caringbah South the latest and most innovative plumbing solutions. We’re proud to be able to provide our customers with an exciting new repair service, pipe relining. 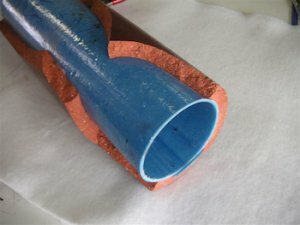 Pipe relining is set to change the way we repair and service your cracked or broken drainage pipes. If your underground drains or pipework need to be replaced, repaired or renewed, we can provide you with a no-dig drain repair using our lining technology. Our pipe freezing service provides a fast solution for conducting plumbing repairs and installs in Caringbah South without the need to shut off the water supply. Our pipe freezing service utilises liquid nitrogen to stop the flow of water or other liquids, creating a solid ice blockage which allows contractors to complete their works on already functioning systems. It’s a very effective solution for leaking taps, replacement of corroded pipes, property drainage, and the install of new fixtures where turn-off valves are absent. For a free quote on your plumbing repairs or installation in Caringbah South, give our friendly staff a call on (02) 8599 4593 and find out for yourself why we’ve got so many 5-star customer reviews.